Twitter fights, hedge fund failures, volatility’s comeback: it’s been one heck of a year. 1. Your cryptocurrency FOMO transformed into insufferable smugness. A few colleagues and business school friends entered the year with Range Rover-sized gains on their bitcoin and ethereum “investments”. You started hanging out with them again around April (bitcoin: $7,000), and have been extremely supportive over their long and painful slide into the red. Yet they seem to tune out your speech on resisting bubbles. Hm. 2. You considered changing jobs, just to lock in your valuation at market highs. 3. The argument that private equity’s outperformance is based more on an accounting trick than operational genius gave you pause. Maybe you’ve been saying this for years (see: long-only managers), or maybe you’re betting on private equity to lift a whole pension system out of a funding hole. But either way, you see literally trillions of dollars and half of corporate America riding on the sector, and wonder what happens if that preachy Harvard kid turns out to be right. 4. You paid $30 after tax and tip for a cocktail in a Midtown Manhattan bar. Or drank one that someone else paid for. Probably you did both. 5. You spent an inordinate number of hours lurking on Twitter. Workplace policy or professional preservation instincts kept you from actually tweeting very much, if at all. But keeping up with the markets is part of your job, you rationalized, and #fintwit is a valuable source of ideas and sentiment. You came for the newsfeed, but ended up falling down the Elon Musk-vs.-Tesla shorts hole and cheering on @CliffordAsness in battle (even if you’re an AQR investor – and especially if you’re a competitor). 7. You developed a case of PTSD from your emerging markets book getting crushed, again. 8. “Returning investor capital to become a family office” became, in your view, hedge-fund speak for “we haven’t collected performance fees in a few years, and half our clients have redeemed, and our founder doesn’t want to invest his own money to keep the lights on for a comeback… so I guess we’re going out of business. But don’t call it that, OK?” Who will be next? You have some ideas. 9. You read roughly 5 percent of the “10 Years After Lehman Brothers: Looking Back at the Financial Crisis” content that inundated your inbox in September. Even if you work for a firm that produced some of it. Zzzzz. 10. Speaking of inboxes, you’re forced to admit abject failure on that 2018 New Year’s resolution to keep up with all your emails. But 2019 will be the year! For real this time. 11. That horrifying OptionSeller.com apology video felt like watching Meet the Parents. You cringed with agony. And laughed. And felt very little sympathy even for the investors, until you remembered they’re retail folks, and some probably lost their retirement savings. But STILL! Selling options to make a buck and expecting not to get blown up? C’mon. 12. Goldman Sachs Asset Management’s odd purchases — Rocaton Investment Advisors and Aptitude Investment Management — made you wonder what those wily folks at 200 West Street are up to. A consulting firm and a fund-of-hedge funds? Aren’t those, like, the two worst business models in the institutional investment game? But if GSAM wants ’em, you know it’s for good reason. Or disgustingly good prices. 13. After gleefully watching ADP’s smackdown of Bill Ackman last year, you had to give him credit in the end. ADP is up almost 20 percent since CEO Carlos Rodriguez called Ackman a “spoiled brat” on CNBC, and Pershing Square is riding those sweet payroll processing gains to a great year. Maybe the Rodriguez technique will catch on. 14. 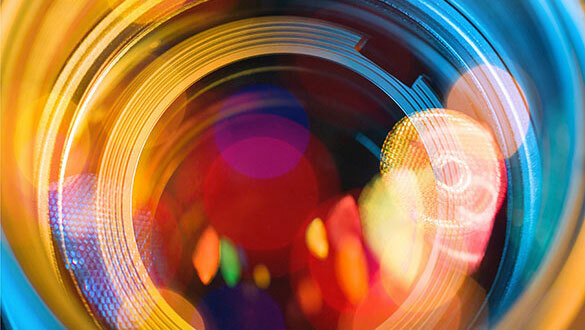 Indeed, short-sellers provided you with bountiful entertainment this year — but not nearly enough to make up for what they cost your portfolio, if you’re an investor. 15. Private equity shops paying fresh Harvard Business School grads $400,000 annoyed you at first. Kids these days don’t pay their dues! But then you played out what that $400,000 29-year-old will expect in 10 years. And where that paycheck has to come from: fees. And how much private market valuations have to rise to pay for it… and oh Lordy, we’re doomed. 16. 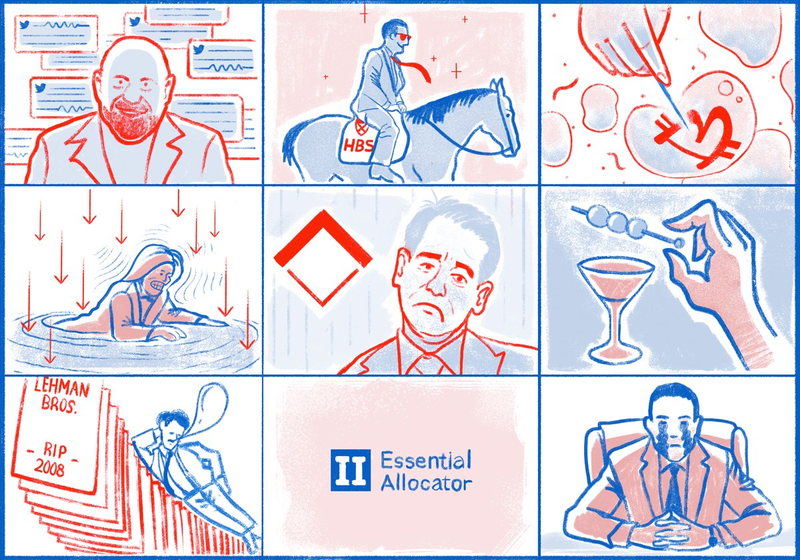 You subscribed to the Essential Allocator newsletter — legitimately or otherwise. 17. After years of preparing for market volatility and corrections — and almost longing for them, after years adrift in easy rising markets — they hit in the fourth quarter. At first, a little vol made you feel alive, like jumping in a cold lake. Then the fun wore off. And now you’d like to get out of this freezing lake, please, before next bonus season. 18. But a year like 2018 reminded you why you love this infuriating, enriching (literally), and fascinating investment game more than anything — except your family. Which you’d like to see a bit more of in 2019.